WILLEMSTAD – Recently it is exactly 25 years ago that the then prime minister Maria Liberia-Peters and the minister of Justice Suzanne “Suzy” Camellia-Romer put their signature under the Netherlands Antilles Ordinance called: ‘Landsverordering Buitengaatse Hazardspelen’ (National Ordinance Offshore Gambling) of June 8th, 1993. Five years after the death of Helmin Wiels they still have not picked up the commissioners while there are at least two people in hiding for already more than 5 years. Closely related cases. RST, please read with me? In 1995, Finance Secretary of State in the Netherlands, Willem Vermeend, came on stage to Curaçao to terminate the infamous Antillean-route. Only to give his blessings through the back door to the Offshore Association of the Netherlands Antilles (VOB) for a new Antillean Route 2.0. Gregory Elias’s renewed E-zone ordinance, KPMG/PwC’s new Fiscal Framework (NFR), Christoffel Smeets’ new anonymous legal persons regulation for the Foundation Private Funds (SPF) for Ultimate Beneficiary Owners (Citco’s Aruba AVV replacement for Curacao) Netherlands Antilles Ordinance, and a Dutch adjustment of it’s BRK agreement to connect its Caribbean islands to the rest of the world, received the green light. These pillars became the framework, in which the largest anonymous unregulated offshore gambling, money laundering and terrorism finance and underground banking infrastructure ever known to mankind, was going to flourish. In 1996, the Lieutenant Governor of the island Curacao, mr. Stanley Betrian, put the then Minister-President Miguel Pourier of the country of the Netherlands Antilles under pressure to give the first offshore permit to ………….Intertrust kingpin Gregory Elias (video). Issuing of this offshore gambling license was factually against good governance because supervision was not (yet) legally anchored. The supervision part of the ordinance, Camelia Romer and Liberia-Peters had “forgotten” to submit. Betrian suggested however that deals were already made for revenue distribution. And Elias appeared to be in a hurry because the MBL sports betting season was about to start. And besides that, Francesco Corallo (Saint Martin), Eduardo de Veer (Aruba) and Rudy Pizziolo had already started running their first illegal online casinos and sports betting. Discretion and swiftness were imminent. Between the country, Netherlands Antilles and the island of Curaçao agreements were made that the government of the Island Territory of Curacao would supervise the compliance of the Curacao E-gaming license holders. After Elias (TISS/Staten Management/MeesPierson Intertust) permit, permits for Robbie dos Santos (Millionaire’s Club) Herman Behr (E-management) Robert Vermeulen (Antillephone) Steve Vanenburg (PwC, Curacao Interactive gaming Licensing) Rudy Pizziolo (Gaming Services Provider) and the anonymous Cyberluck (presumably a consortium of KPMG and ABN-AMRO/MeesPierson UBO’s?) quickly followed. Robbie dos Santos was the first license holder to request the government to allow a sublicensing structure. E-gaming specialist and lobbyist from the first hour, mr. Karel Frielink admittingly is of the opinion that sublicensing is legal, but nothing could be further from the truth. It is not only legally forbidden by article 3 lid 1 offshore Hazardspelen, it is also contrary to the spirit of the law, as put in its explanatory memorandum. Besides that, Pourier expressly forbade sublicensing by policy when giving the first permit to Elias because the ‘span to control’ for the government in a high-risk sector like the online casino and sports betting, would be too big. It is even mentioned in the conditions of their permits. Elias tried again through his friend, Finance Minister Harold Henriquez, but Pourier’s staff stopped that fast: he got the same answer as Robbie. But what is an interdict without supervision or enforcement? The offshore financial services sector turned offshore gambling sector had already since the 50’s the local media, politics and the church in its pocket. Smeets, Elias and KPMG determine what you read locally in the papers, see on TV, or hear on the radio. Subsequently, the ‘main’ E-gaming permits were kept secret, even for their sublicensees. Soon thereafter, dubious Dutch-Italian clients with dubious Latin American contacts were provided with illegal ‘sublicenses. Pourier yelled “mafia”, but it fell into deaf men’s ears. New structures for such a shadow sector were required. One with less liability for the Netherlands and more space on its islands for a money laundering infrastructure. According to some smart brains at VOB and in the Netherlands. In 1997, government-owned telecom companies Antelecom and Setel was hijacked and merged KPMG/BearingPoint and became United Telecom Services (UTS) to provide online gabling services. It’s datacenters IDG, and later CTEX (KPMG/Bearingpoint) plus the private E-commerce park (Citco) and Hoogstraat (Elias) would became the operational spearheads of world’s largest unregulated and illegal gambling sector. When the offshore gambling dollar flows started to take a giant leap from 2002 onwards, the Dutch AFM (Authority Financial Markets) quickly transferred supervision of the new shadow trust sector to the small and inexperienced Bank Netherlands Antilles (BNA). At the end of 2002, Elias sold Intertrust with its suspicious gambling portfolio and went on to work for a number of years at MeesPierson Intertrust. By doing this, he assured himself of Dutch immunity. VOB became CIFA for a while but resurrected in 2005 under the name International Financial Group (IFG). IFG consisted of E-gaming actors KPMG, Citco, United Trust, Fortis and MeesPierson Intertrust, chairman became mr. Ralph Palm. In order to ensure that a state restructures process, without the so evidently needed extra control layer, to proceed as smooth as possible, the Kingdom Council of Ministers appointed KPMG chairman Raymond Begina and offshore gambling ordinance founder Suzy Camelia Romer as chairmen of the Round Table Conference. Standing right behind Begina and Camelia-Romer, were Gregory Elias, Christoffer Smeets, Peter Grootens, Ralph Palm, Eduardo de Veer and Rodolfo Pizziolo. These people understand offshore gambling. Lieutenant Governor Stanley Betrian then looked in all directions, except for the good one, until 2000, his successor Liza Dindial did exactly the same until 2010. No politician or top government official on both sides of the Atlantic Ocean wondered whether the E-gaming sector also needed to put a penny in the tax treasury, in relation to all their projects financed by the government for this sector. Such as a creation of a payment system, the purchase of a high-tech data center on Mahuma (Ctex) or a fast sea data cable between Aruba and Curacao. If you want to keep something a secret, registration is a main point of concern. So for 20 years, KPMG has been providing its own secret UTS annual accounts. We received them, nothing is in it. KPMG has a truck special for this type of business. But as long as supervisors such as the Dutch Financial Supervision Commission (CFT) looks away from tax and dividend revenues from Curacao government-owned public companies, the Council of State of Curacao (ARC), supported by the Curacao government and certain judges, no longer is allowed to conduct its checks & balances, whilst Sopi group member Geomaly Martis from the Government Accountants Bureau (SOAB) neatly continues to approve the submitted KPMG annual financial reports with an official government rubber stamp. KPMG continues to slowly drain the government-owned telecom provider, to benefit IFG, Cyberluck and Radcomm illegal gambling activities. State restructure of the Kingdom of the Netherlands in 10-10-2010 became a fact, but again Begina and Camelia-Romer forgot to legally anchor the most important – the supervision of the licensees. Did it pass from Lieutenant Governors to Prime Ministers? Twenty-five years after June 8, 1993, all Dutch islands in the Caribbean still lack supervision and enforcement on money laundering, terrorism financing and offshore games of chance. We estimate the network with the number of illegal VPN casino pillars of Aruba and Sint Maarten, plus the Curacao offline offshore casinos on the World Wide Web between 3000 and 4000 currently. All of them suggesting to be legal and regulated, in order to establish illegal and unregulated offshore companies and bank accounts in foreign countries, in order to account for large black cash flows with a ‘legal’ Curaçao / Aruban / Saint Martin Egaming declaration of origin. Especially to circumvent tax registration, MOT/FUI reports and difficult questions. And to avoid security screening of its UBO’s and shareholders, other than some meaningless self-regulation from the ‘main’ E-gaming license holders. And so, within our financial offshore sector, BRK, E-zones and SPF’s, the most successful illegal multi-billions of money laundering, terrorism financing and underground banking infrastructure was born. 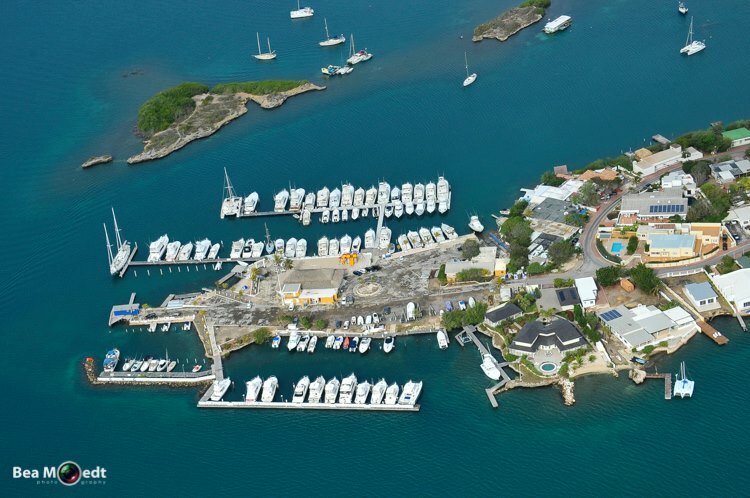 The lion’s share of corruption and money laundering on the islands is found here. These offshore financial services providers are the same companies in the Netherlands that realize tax avoidance for multinationals, which, through its Kingdom islands, arrange tax evasion and money laundring for organized crime and (hedge) funds elsewhere in the world. Therefore not just a Kingdom affair, but a world affair. That is to say, if there is no proper governance locally, and the legal chain supports the E-gaming sector with a carte blanche. But the Kingdom Council of Ministers intervenes on all the islands, except the one where it is really necessary. That is why the (six?) E-gaming licensees are also called: ‘The Untouchables’. Is the Dutch government also a captured state, in the hands of organized crime? Or are the E-gaming/coke funds from its Kingdom islands the source of the Dutch financial waterhead? Anyway, we seriously doubt whether Rutte will instantly agree to have the islands declared independent with one phone call. Remarkable is that de biggest Egaming provider Antillephone uses the coat of arms of Curacao with typical traditional Dutch symbols as the logo of their company seal. Coincidence or Dutch Ultimate Beneficiary Owners? Dutch Antilles or British Caymans? Whoever thought that London was the money laundering capital of the world, had only been informed by our trust sector media. Money laundering is certainly conducted through the Cayman Islands, but mainly through our own Kingdom Islands. The power centre of the Kingdom Islands is therefore not in Forti (Fort Amsterdam in Willemstad), but in Brakkeput, at Spanish Water. To be precise within the modest beach property of the ‘Grupo Sopi’ (Soup group). Next to Robbie’s, and a stone’s throw from Smeets ‘country house at Santa Barbara and Elias’ Isla Palm y Tam. But it’s real epicentre lies within the European narcocapital with the heaviest drug history in the world: the Netherlands. For mafia, drug and arms traders, money laundering through its Dutch Caribbean islands, money laundering infrastructure, with that beautiful Dutch logo, it’s lax Dutch legal system and the European connection is the best USP (Unique Selling Proposition) imaginable. Black money easily explained as a legal and regulated ‘win’ on the most renowned and dubious banks in the world has been a Dutch speciality for 25 years. Thanks to heavyweights like Elias, Smeets and KPMG, the Kingdom of the Netherlands just knows how to conceal this better than its British competitor. But the businessmodel is the same. On the 26th of November 2012, interim premier Stanley Betrian signed as representative of the Sopi Group, a new lottery permit for Robbie dos Santos, a suspect accused of large-scale money laundering and belonging to a criminal organization A couple of months later Helmin Wiels died of acute lead poisoning. The rest is history. Maffiastyle: 9 bullets on broad daylight on a crowded beach Helmin Wiels, RST informant and the most popular politician of the island was shot to death. A video was released within 1 hour after the killling stating more would follow. Who would be safe? Real interests that play (played), one rarely reads in our offshore finance media. Like the multi-billion sale of Pinnaclesports, by far the largest company in the Antilles. Pizziolo and Cocochi Prins’s largest online casino with tens of billions of annual revenue was under fire in America in 2011 due to alleged ties with the Mafia. Some of his American co-founders were convicted in the U.S.A. for money laundering. Pizziolo, Prins, their loyal accountant/sales supervisor KPMG and their ‘main’ E-gaming licensee Cyberluck apparently thought it was time to cash in. To this end, Ivar Asjes went with his wife Tara Asjes-Prins (daughter of) and Finance Minister Jose Jardim to China in 2014. This is the actual moment, the world’s largest money laundering machine was sold to Pinbet888. However, in the due diligence, a corpse fell out of the closet: sublicense. Via Malta, a real license was quickly obtained because years of Cyberluck’s sub-license for Pinnacle and related gambling business on Curacao would speak for itself. Right. In 2015 this new Curacao-Malta license hub became a fact, but the sale of Pinnacle was not finished yet. Because a hitch came up. Article New York Times chasing ghosts: PBS/Frontline video fromup minute 17 is the story about Curacao and Pinnaclesports. To this day, the in 2016 once more convicted delinquent Robbie’s murder reward (lottery license) and silence money (SMS-lotteries) are being upheld by the local Ministry of General Affairs. The same applies to the world’s largest terrorist financing money laundering (gambling) infrastructure of IFG by the Netherlands. We would like to see our Citco Prime Minister and Sopi Cabinet explain this to us, the citizens. We shouldn’t count on the Netherlands and its responsibility under Article 43 of the Statute. The fact that the Dutch government exposes its Caribbean politicians, citizens and the media to continuing danger in favour of the closely connected Dutch Antillean financial sector is more than sufficient reason to doubt a just and legitimate Kingdom policy. In view of our world championship tax evasion, drug trafficking, terrorism financing and money laundering, the assassination of Helmin Wiels, the safety of all Dutch citizens and independent media (and security all over the world), we all have an interest in a clear and complete answering of all included 44 LOB requests. Let it be clear: the LOB’s attached underneath are not there to create unnecessary work. Knipselkrant Curacao informs its readers voluntarily every day for 8 years to its best honour and conscience, by yarning as independently as possible articles and opinions that do justice to a truer image than our gambling-financial offshore-sponsored media. These LOB requests may not be perfectly formulated and grammatically 100%, the focus is on the content. We ask for an explanation about policy and implementation of the law within the framework of the Curacao Ordinance Public Access to Governance. Especially now that the Dutch Rutte III government for years has been sending Van Raak systematically into the woods for years with ‘it’s a Curacao affair’, while our financial offshore sector and money laundering infrastructure in reality is so much larger than a Kingdom of the Netherlands affair. If some officials and members of government do not want to provide us with clear/complete/timely answers, we will debate this in court. We will also regard silence or misleading answers as an answer. After all, we may expect our government officials and policymakers to serve the law and the people in good honour and conscience. We know. We also initially thought that the Schottes, Robbies, Jamaloodin’s, Corallo’s and the Peppies of this time were the seed of all evil on our paradise island. They turned out to be the criminal vanguard. Bush robbers. Their function is to create smoke curtains, conducting spin-doctoring. Creating hitlists. Bread & Games for the people. All derivation of the secret E-gaming infrastructure. Puppets, who, in the meantime, support their puppet masters unconditionally. And there will always be new scum, as long as coke and weapons yields from Latin America continue to flow into the world through our small captured islands. Therefore, we are not talking about “payasos” like the Robbies, Wilsoes, Peppies, Jamalodins, Nini’s and Schottes now. They are ‘only’ executors. Perpetrators. They all assisted in the murder. But they are not the commissioners. The fact that the Dutch government exposes its Caribbean politicians, citizens and its free media to continuing danger, in favour of the closely connected Dutch Antillean financial sector, is more than sufficient reason to doubt a just Kingdom policy. With regarding to our world championship tax evasion, tax avoidance, drugs trade, money laundering, terrorism financing and underground banking infrastructure, the murder of Helmin Wiels, the safety of Dutch and all citizens worldwide, and a safe and free future for our children, we all have a motive to aim for a clear and rapid answer to attached LOB-questions. Aren’t we scared to be assassinated? Sure, as long as this giant underground banking infrastructure of unregulated E-gaming licenses and illegal (SMS)lottery policies are being upheld by our governments, murder rewards and silence money will remain, no critical voice will be heard on our islands, or in the Netherlands. Aren’t you afraid to be legally prosecuted? We hear that a lot. Not any longer. We have already received so many court case threats from these people. The financial offshore gambling sector knows that we have not shown all we know here and they did not offer, or even allow us, a stage in the courtroom (yet?). If we are not afraid of all the mafia PR and the large marketing agencies that will be put on us, not in the last place by the Dutch government in the sense of “damage control”, protecting her enormous and continuing source of black money. Not really. If you have lived in fear like us, for so long, one day there is a day that you say: “It’s enough.” Besides that, the question is if businesses knowingly want to be associated with the mafia, money laundering and terrorism financing, now that we have clearly shown what it is all about, and that there are several large, international, independent entities keeping a close eye on us. That this blog will be sliced, diced and scrutinized, and that we will receive new attacks, we have not doubt. This even happened with fiction writer Conny Braam who wrote a novel, based on her revealing discoveries of the Dutch Cocaine Factory (now Akzo Nobel, video). The hard facts however, are multinationals, banks and hedge funds all over the world use the same Dutch-Antillean financial offshore service providers as the Mafia, weapon and drug cartels. The Dutch-Antilles financial offshore services sector therefor is the black box where the underworld and meets the upper world. A little trust is all you need? It’s no coincidence that the Netherlands and Malta in the financial offshore services area together lead the coalition of the unwilling. This is a public complaint against attacks on politicians and the free press within the Royal Kingdom of the Netherlands. After 25 years of functioning as gambling, drugs and money laundering center of the world, it should stop right now. Let them move, the rotten part of our financial offshore sector with their mafia, drugs cartel, weapons trade clients. Better poorer and honest than rich, corrupt and with bloody hands. Than to finance our gangs. Then to be involved in the next 20 years in a drugs war with Venezuela. Then to facilitate terrorist attacks in the USA or Europe. Then to facilitate illegal arms trade between Venezuela and the Middle East. Or do we aim to continue to do massive money laundering of a Venezuelan narco regime that oppresses and starve its own people in its coming up drugs war, in front of our islands? “The Netherlands comes equipped with built-in island laundromats – Aruba, Sint Maarten and Curacao – and the Dutch speak English. Best of all, lax Dutch law means even if they get caught, there isn’t much anybody could do.“ (From The Sink – Crime, terror and dirty money in the offshore world – Jeffrey Robinson, 2003). We all know this is true. We hereby call upon all European-Dutch and Dutch-Caribbean ministers, members of all parliaments, public servants and our 85.000 loyal readers within the Kingdom of the Netherlands to help our island to answer all LOB requests below and to support us in our requests. To free our island from the stranglehold and captivity of the international organized crime. To make our world a little safer. To help the RST to gather the proof for Robbie’s motive for the murder of Helmin Wiels. To prevent the assassination or ‘accidents’ of your blogger and editor-in-chief. And also to dry the source of many criminal millions and the endless efforts to take this forum offline. As soon as answers come in, we will be publishing them here. Till hat time this article will stay on top of our front page. So that our readers, supporters and government policies and execution regarding the gambling sector can read or question can determine which ministries are transparent. We have no other agenda than to fight for the media and the freedom of expression, democracy, government transparency and the truth. Update june 30th, 2018: Some small changes to the origional have been made to enhance readability. (* star) In addition to IFG members and their core Sopi members, it is rather likely that UTS CFO Leila Matroos-Lasten (ex-KPMG) and Finance State secretary (and later minister of Finance, afterwards KPMG managing director) Jose Jardim who was responsible for supervising the Central Bank for many years, taxes and FUI reports of the secret activities within UTS/CTEX knew about this. We think both persons became not without coincidence directors of the current Central Bank of Curacao and Sint Maarten (CBCS). Last year (former) UTS board chairman, Sopimember – now Finance Minister – Kenneth Gijsbertha appointed co-Sopimember Etienne Ys as chairman of the Supervisory Board. After taking over UTS/CTEX, now the Central Bank of Curacao and Sint Maarten has become the domain of KPMG/IFG. Opening de doors for further expansion of money laundering through anonymous (now largely Chinese) crypto- and exchange trade of IFG partner Gregory Elias. From 1986 – 2003 Elias has served as Chairman of the Offshore Association of the Netherlands Antilles and is special council to the Government of the Netherlands Antilles and Ministers of Finance. And since 10-10-2010, for the country of Curacao. (* * star) Another example of profound involvement of Dutch and Curacao government in this infrastructure from that period is the incident of the Venezuelan ex-intelligence service chief Hugo ‘Pollo’ Carvajal, who, after his government career became a key player in the Latin American international arms and cocaine trade. The remarkable career switch was a result of his knowledge and extensive use of this infrastructure. In July 2014 both the Netherlands and Curacao politically intervened in a judicial extradition at the request of the U.S.A. at the Court of Justice in Aruba. The essence of the case in this fact, was, that if Aruba had actually deported the international arms dealer and drug cartelist to America, he would have ‘sung’ to the FBI as a major user of this infrastructure. Minister of Foreign Affairs Frans Timmermans, Prime Minister of the Netherlands Mark Rutte and Prime Minister of Curacao Ivar Asjes therefore did everything to prevent the extradition and had the Court send the man home to Venezuela as ‘non-grata’ on Aruba. 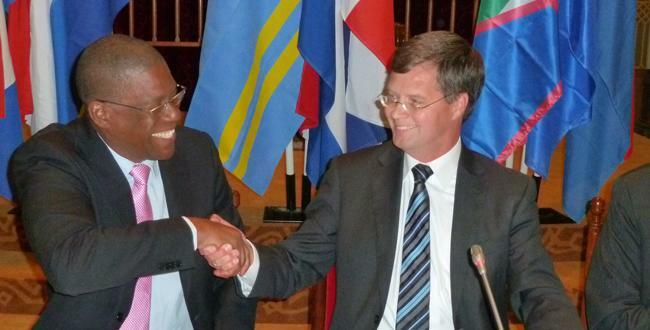 With the trick, Dutch and Curacao ministers and the Court of Aruba together prevented exposure of the infrastructure. Leaving the U.S.A. assuming it was Venezuelan threats from the islands. Now Pollo lives (partly) on Aruba again, a 5 minute walk from ‘his’ consulate. Three years later Timmermans ‘successor, Dutch Foreign Affaires minister Stef Blok, personally freed the way for Carvajals’ promised position as a Venezuelan (drug) consul on Aruba, to his pupil, the former general and the drug dealer suspected of drug trafficking in the USA by Carlos Mata Figuero. Once again, the Dutch parliament was mislead. The appointment of a straw man leaves nothing to be unclear about the fact that the Dutch government serves the interests of IFG and its – Venezuelan – clients. Nardy Cramm is blogger and author of blogseries ‘KKC blog | Machtsstrijd Curaçao ontbrandt en VDC blog | De lotgevallen van Veiligheidsdienst Curacao (VDC). Dit bericht werd geplaatst in _Aruba, _Blogs, _Curacao, _Nederland, _Regio, _Sint Maarten, _Venezuela, Blog Knipselkrant Curacao (KKC), Blog Koninkrijksbelangen, Blog VDC, Curacao Chronicle, Dossier IFG, Financiele sector, Goksector, Politie & Justitie, Politiek, Wapen drugs & mensenhandel. Bookmark de permalink .